Be a community immunity superhero! I meant to do this post at the beginning of the month. I really did. But life finds ways of interfering. In case you didn't know, August is National Immunization Awareness Month. I've posted stuff for NIAM before, like my lineup of vaccine preventable disease wanted posters. I've also written other posts for past Vaccine Awareness Weeks that could fit in well with NIAM, too, like the myth that if vaccines work, then it doesn't matter if you vaccinate your kid or not. Some years, though, I've let August slip past without writing anything specifically for NIAM, even though I have written posts with some vaccination issue as the main topic. Not this year. I could write about outbreaks of diseases or the activities of the anti-vaccine movement, but I'd rather keep things nice and positive, at least for now. In July, I received a review copy of The Shots Book: A Little Brother's Superhero Tale, by Ethan Posard. Rather than publishing a post about the book right away, I wanted to hold off until Immunization Awareness Month. 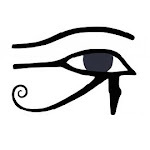 Then, as sometimes happens, life decided to muck up my good intentions and delay me for a while. Better late than never, right? Ethan is the younger brother of Camille Posard, one of the talented young high schoolers who wrote and produced the film Invisible Threat, which I discussed last year. Although the film was met with exceptionally harsh criticism from the anti-vaccine movement (without their even having viewed the documentary), the teens who produced it proudly stood up to the bullies that tried to silence them and shut down screenings. One portion of the film follows Ethan as he goes in for one of his scheduled shots, and it's that experience with both the shot and the film that inspired him to write this book. 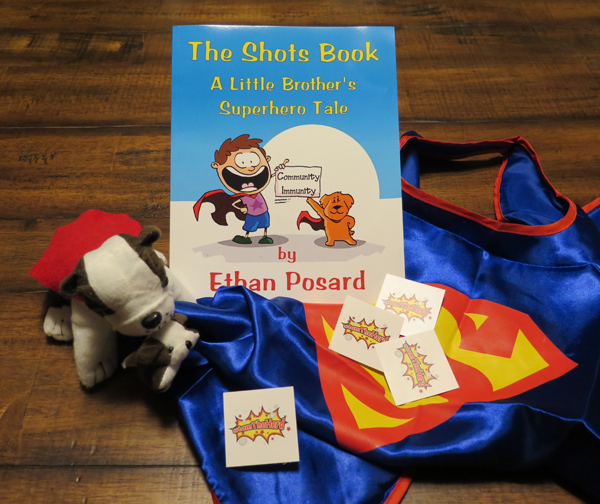 The Shots Book is based on Ethan's real experiences learning about vaccines and vaccine preventable diseases. Like the teens who produced Invisible Threat, it was the experience with his dog, Roxy, that really drove home the importance of vaccinations and community immunity (aka herd immunity). The book begins with Ethan wondering why he needs to get a shot if he does all the other stuff to stay healthy: eating right, exercising, washing his hands, and covering his coughs and sneezes with his arm. He and his family did the same for their puppy Roxy. Unfortunately, she still got very sick from what the vet suspected was parvovirus, a deadly doggy disease that happens to be preventable with a vaccine. Roxy hadn't been vaccinated yet because she was too young, so she depended on older dogs around her being immunized to keep her safe. Roxy fortunately got better, and when she was old enough, she got her parvovirus vaccine, which protects not only her, but other young puppies around her. Roxy became part of the community immunity that prevents spreading of diseases. That's a lesson that Ethan took into his own life. He was able to see in Roxy why vaccines are important and what can happen when vaccination rates drop. Adding to the personal importance for him was the fact that his aunt was pregnant with twins. Ethan describes how vaccines work, but since this is a kids' book, he uses analogies to simplify things and make them easier to understand. Rather than going on about the innate and adaptive immune systems, TH1 cells, macrophages, cytokines, and so on, he talks about them in concepts that younger kids can understand: superpowers and force fields. He also gives some tips on how to approach getting a shot, like trying not to worry, not looking at the shot, and working with your parents to pick out some treats to help celebrate your bravery in becoming a community immunity superhero. The Shots Book is a really nice little book by a kid for kids. While there may be a few big words, the text is easy enough for elementary school kids to understand. The fun and engaging illustrations, for which he did the rough sketches, do a great job supporting the book's messages. But the best part of this book is that for every one you buy, Ethan will donate another copy to a Children's Hospital. You can follow Ethan on Twitter (@IAmTheHerd), get updates on Facebook, and buy a copy of the book at theshotsbook.com. The book is available in both English and Spanish. Help spread the word, get vaccinated, and proudly say, #IAmTheHerd.